The Analog Kid blog has been featuring out-of-print ’80s albums on “The Lost Boys” series for quite a while, and now it’s time for the ’70s to join the party! “Lost In The Flood: Hard-To-Find ’70s Albums” will give you the chance to listen to some great music from the ’70s that can no longer be easily acquired on-line or at your local record store (especially since many of you probably no longer even HAVE a local record store!). 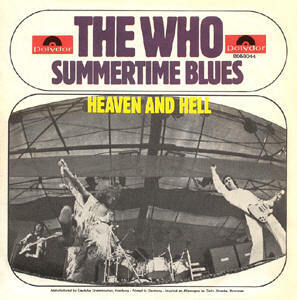 Obviously, I couldn’t have picked a better record to introduce myself to the power of The Who. Live At Leeds will make your speakers bleed, and it literally crackles with excitement. Hey, it says so right on the label! I love the crackles on Live At Leeds. They are part of its great charm, along with the polite applause from the English crowd after each song. “I say, these chaps are bloody good. Do you realize that they are basically redefining the hard rock genre right before our very eyes? Simply marvelous.” Golf clap. 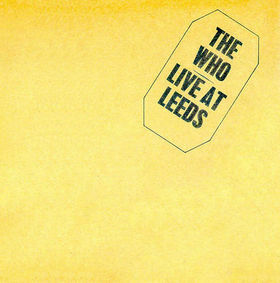 It’s true: Live At Leeds isn’t out of print. You can hop on Amazon right now and order a single-disc copy, and you can also purchase a stunning double-disc set of the entire show (including their performance of Tommy). Both of these CDs are amazing, but they are actually quite different than the original album that I fell in love with. The crackles have been digitally removed, and even the single disc contains bonus tracks and a different mix. If you want the original Live At Leeds in all of it crackled glory, you have to find an old vinyl copy or seek out the original 1985 CD release. Or, of course, you can just visit the Analog Kid blog. Put that cigarette out! Posted by The Analog Kid on March 12, 2014 in Rock and tagged Analog Kid, John Entwistle, Live At Leeds, Pete Townshend, The Who. 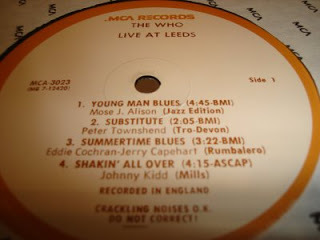 My only problem with this record is that it turned a generation of Americans into Leeds United fans (or at least made them vaguely aware of Dirty Leeds, which, in the U.S.A., is nigh the same thing). The answer to the “Beatles” or “Stones” question. The Who. That may be the single greatest piece of wisdom ever uttered. 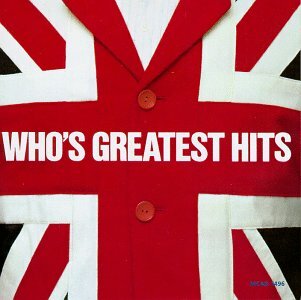 In 1979, twelve year old me already knew a few Who songs; “Pinball Wizard”, “Baba O’Riley”, but I’d recently fallen hard for “Who Are You” and (unbelievably) hadn’t yet heard the Who’s Next album (my sonic mecca.) So I wandered into the living room where “The Kids Are Alright” flick just happened to be playing on our illegal HBO hookup (the good old days of early cable.) When I got to the climax of “Won’t Get Fooled Again” – the lasers, Roger screaming, Pete leaping, guitar smashing – my jaw dropped… and never closed again. I take nourishment intravenously now and have no regrets. The Who, now and forever, are the gold standard.